Relion Finance is an Australian leader in finance catering and hospitality professionals. 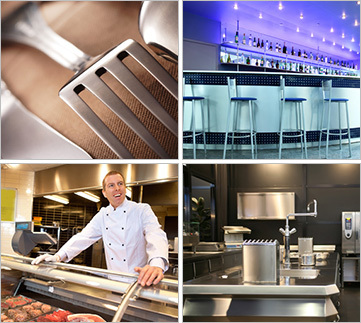 We offer the largest range of finance options to cafes, restaurant, pubs and clubs. We offer short-term rentals where you can either hand back or own through to longer leases with the option to own at the end for only $1.00. You can benefit from exclusive finance products. Pay nothing upfront – no bond, no deposit and no fees. Finance one or many items from one or many suppliers. You can finance all types of equipment from traditional kitchen equipment, custom-made equipment, cool rooms, table-top/pots and pans/cutlery/crockery, furniture, point of sale, telephone systems, air-conditioning-finance even the freight. Finance your complete fit-out, all at the best rates! Relion Finance specialise in helping the hospitality and catering industry by providing rental and lease finance towards new and used kitchen equipment.If you are a start-up or an established business we can finance a single item through to a full kitchen fit-out. Along with all standard kitchen equipment we finance custom made equipment, restaurant and bar furniture, point of sale, CCTV as well as tabletop items. Chattel Mortgages, Commercial Hire Purchases as well as “Rent-Then-Own”. If you are a commercial shop fitter or a supplier of Hospitality and Catering Equipment why not offer leasing as a finance option to your customers. Relion Finance can structure progressive payments if you are assisting your customer with a fit-out. If the customer is an established business we may also assist in providing them with a cash advance to help pay for non asset related expenses.